and thank you for knowing that in order to be the best at what you do sometimes advanced computer software technologies make all of the difference. Please choose the option below that best meets your needs. To speak with Dr. Michael Wald directly please call 914-552-1442 and leave a short message, your name and phone number and the best time to call you back. Please allow 1-3 days for a return call. 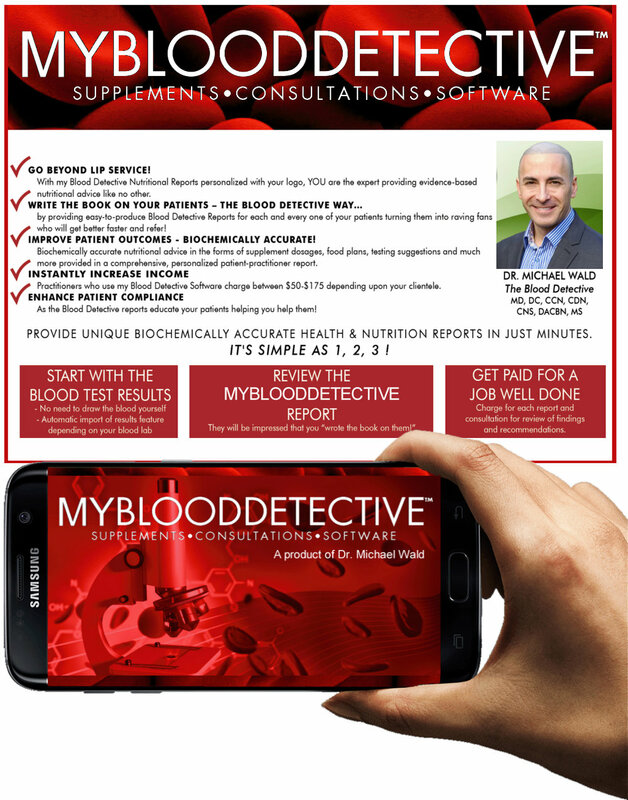 LIFETIME USE OF BLOOD DETECTIVE COST (1-TIME FREE): IS $4900.00 Please contact Dr. Michael Wald and get started today!